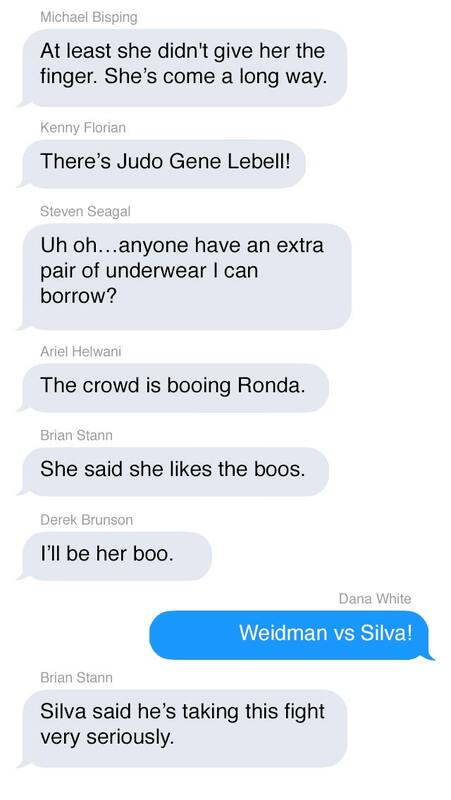 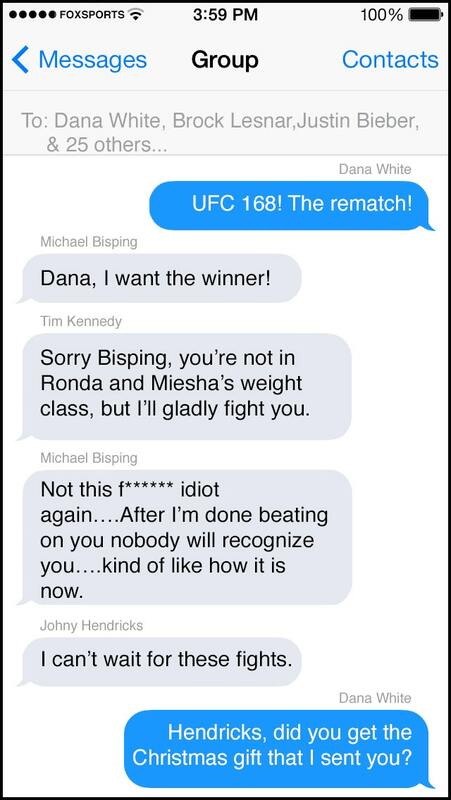 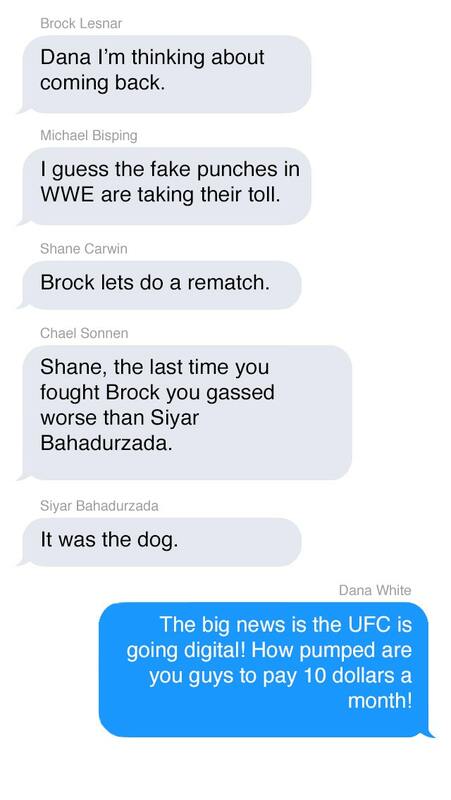 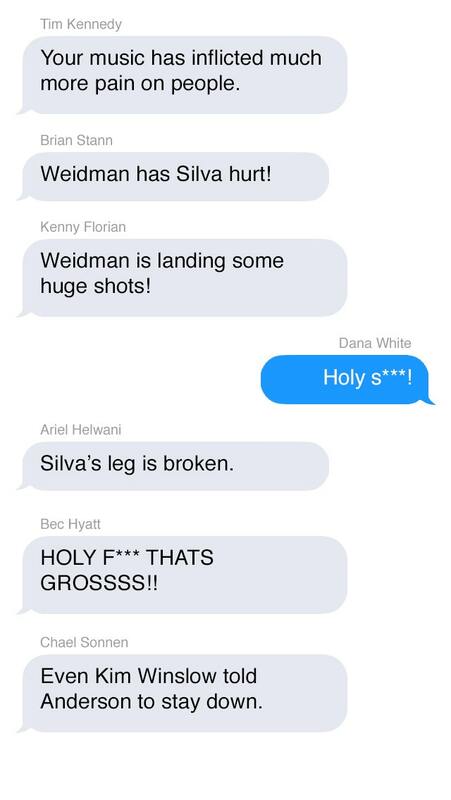 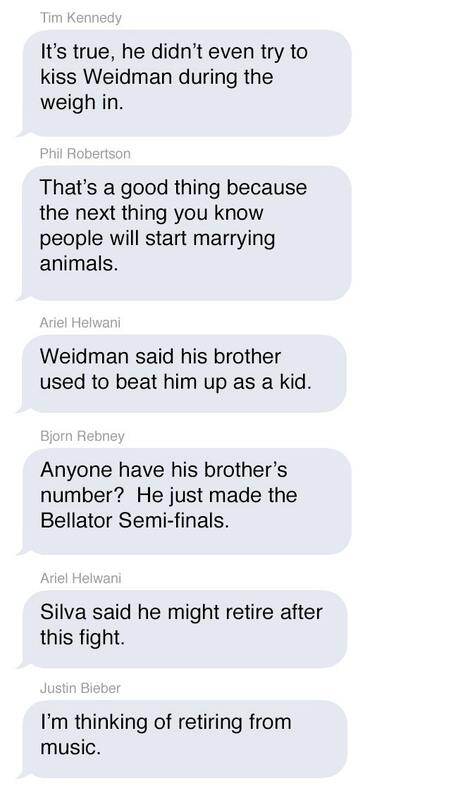 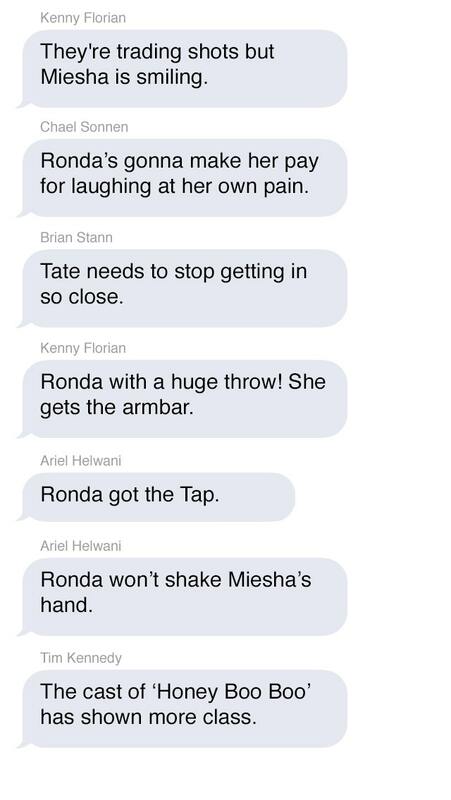 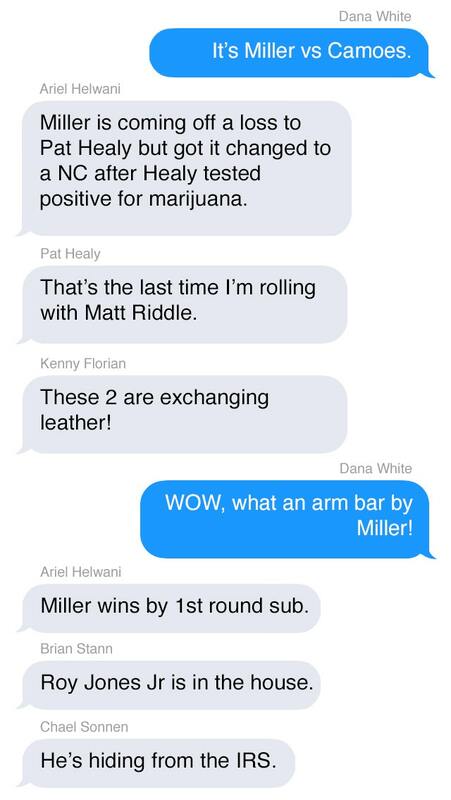 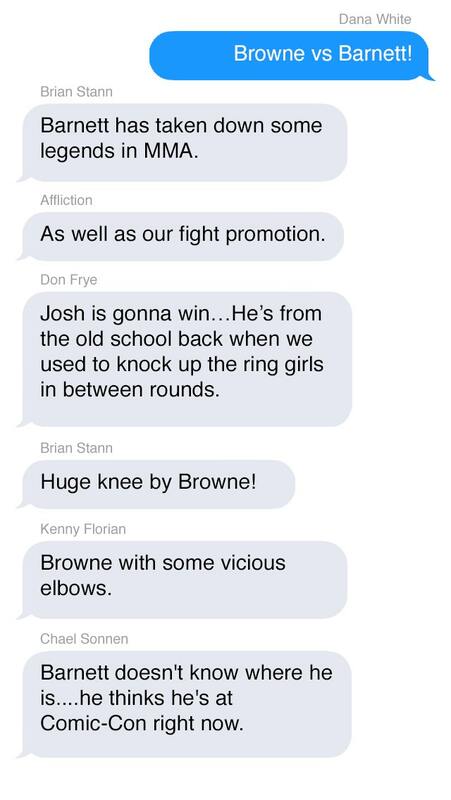 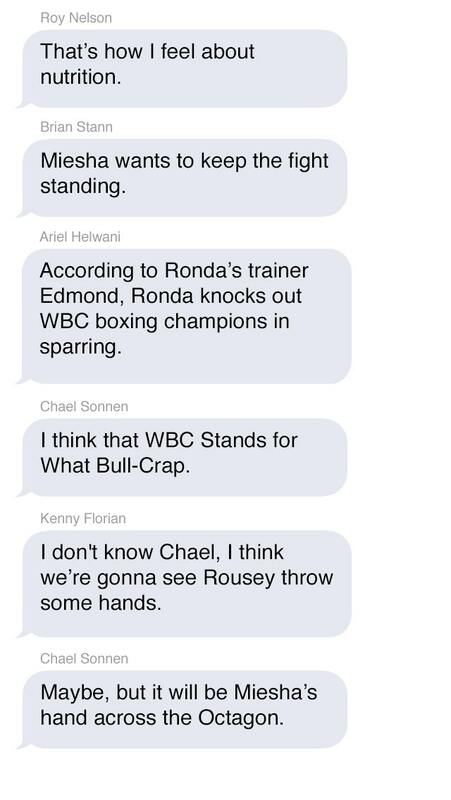 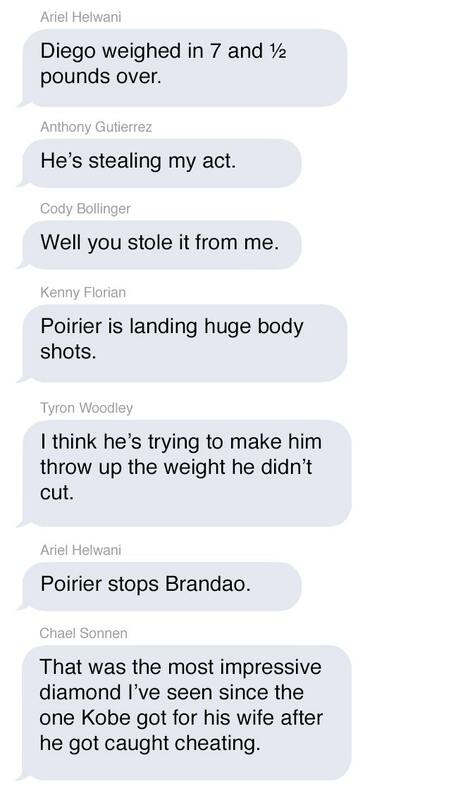 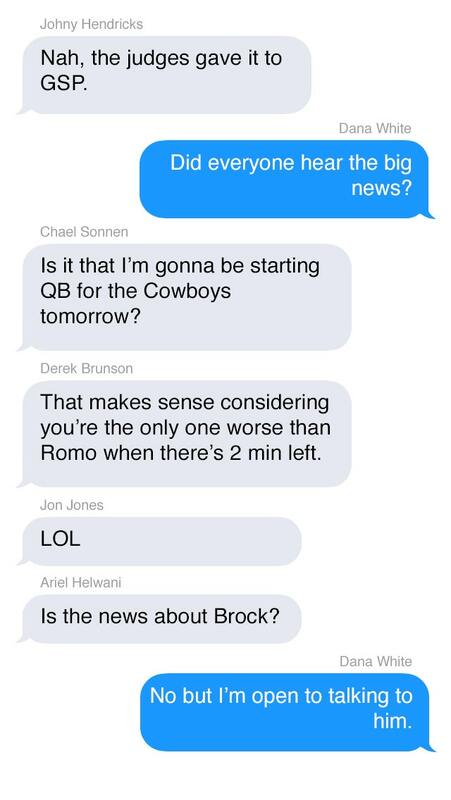 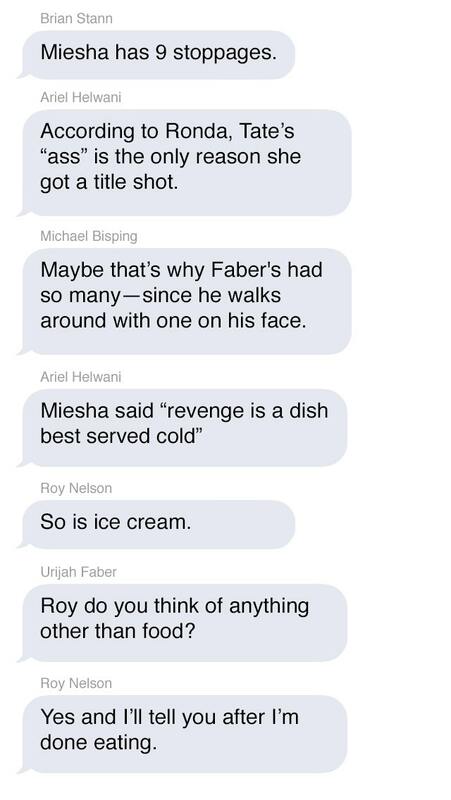 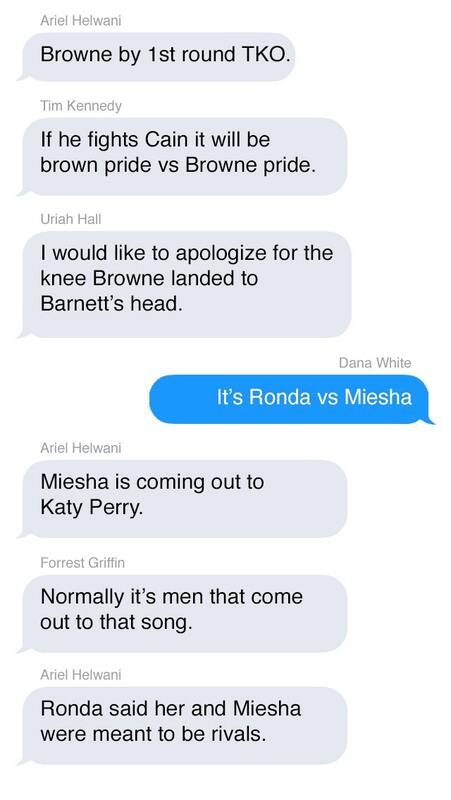 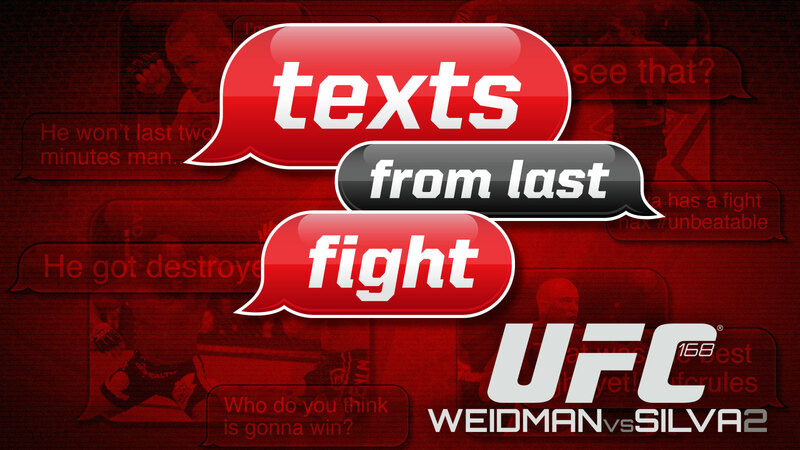 With the assistance of comedian Adam Hunter of MMA Roasted, FOX Sports has obtained the transcript of a private group text message transpiring Saturday night during UFC 168: Weidman vs. Silva II. 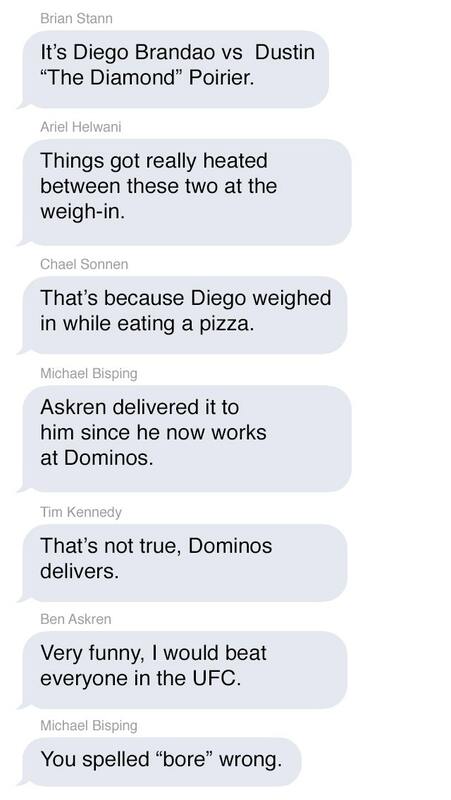 The texts were exchanged between Dana White, Brock Lesnar, Nick Diaz, Michael Bisping, Tim Kennedy, Chael Sonnen, Johny Hendricks, Jon Jones, Conor McGregor, Justin Bieber Don Frye and more. 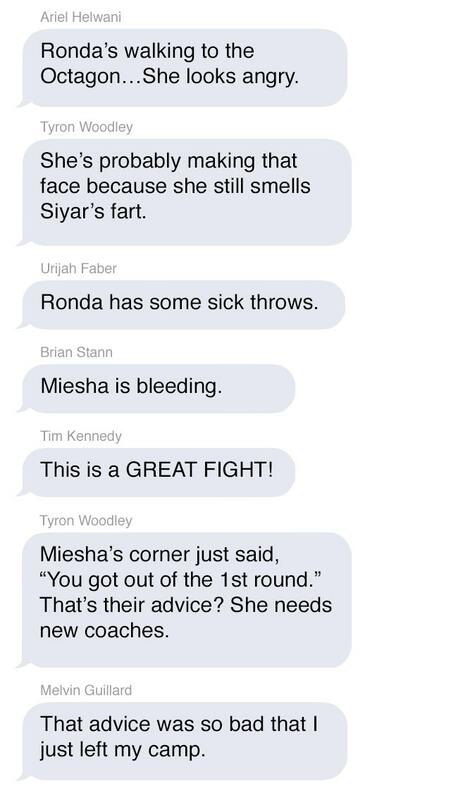 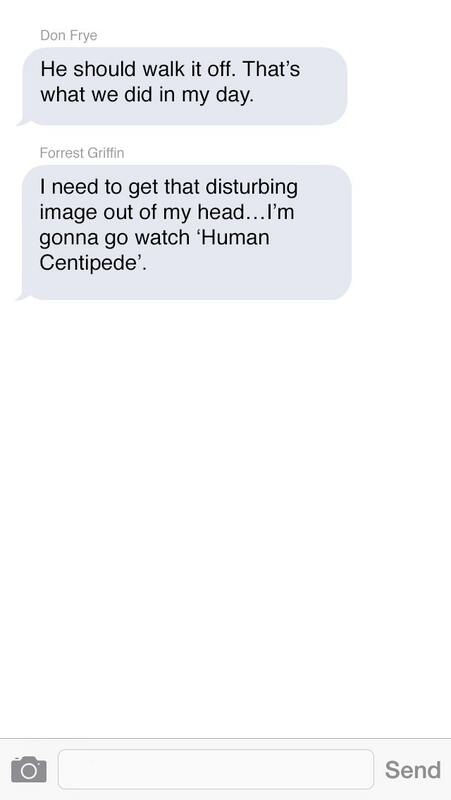 Warning: the screenshots below contain strong language and extremely poor taste.